Getting into a truck accident can be much more deadly and dangerous than a car accident. When an 18 wheeler gets into an accident on the road, it can cause a major hold up and extensive damage to the cars that were driving behind the truck and even other trucks that may have been on the road as well. Accidents on the road can happen to anyone. You might be the most responsible driver, but you could still find yourself dealing with a situation that can quickly turn deadly. In the last year, there were almost 4,000 deaths due to truck accidents. Seventeen percent of those deaths were the truck driver and 66 percent of the deaths were the people in other vehicles, buses, and vans. The last 16 percent were people who were walking, biking, and on motorcycles. If you have been in a truck accident, then a lawyer at ZuppkeLaw can help you get restitution during this difficult time. As a truck accident lawyer, we’ve seen a number of accidents on the highway that have cost people their lives. Driving on the highway can quickly turn dangerous due to negligence, so it’s important that you pay attention to what’s going on around you. 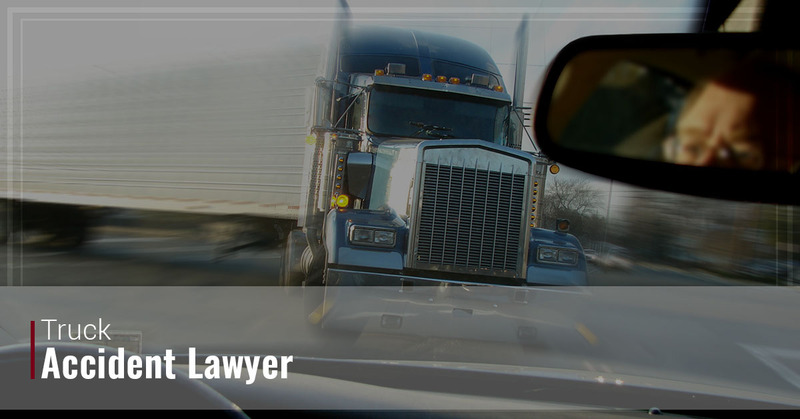 More importantly, if you find yourself in a truck accident, then make sure that you have a reliable lawyer on your side who can aggressively argue your case so you find justice for you or your loved ones’ situation. If you have recently been in a truck accident and you want to take action against the perpetrator, then we can help you get justice. Driving on the highway can be dangerous if you aren’t paying attention, especially when there are truck drivers on the road who fall asleep at the wheel due to working too many hours. Truck drivers who are overworked and exhausted can create a dangerous situation for you and your family or even another truck driver. Since truck drivers drive at all hours of the day and the night, it’s vital that you protect yourself and the passengers in your car. If you were injured by a negligent driver and you want to take action, then ZuppkeLaw is the right choice for you. We can assist those who are vehicle drivers as well as truck drivers who have been seriously injured in a truck accident. Regardless of how your life has been touched by a truck accident, we’ll make sure to fight for your case. If you’re wondering what you’re going to do after you were involved in an accident with a truck driver or you need your medical bills taken care of, then it’s vital that you talk to a truck accident lawyer who can walk you through the next steps after the injury. We know that getting into a truck accident is the last thing that you want to deal with. Whether you have broken bones, serious brain damage, or you’re paralyzed, you’re going to want to make sure you can afford the costly medical bills and however long it takes you to recover. Often, that means you need compensation to ensure that you and your family are taken care of and ZuppkeLaw is just the law firm that can help you get what you think you deserve. When you come to ZuppkeLaw, you can expect to work with a knowledgeable attorney who will help you get the compensation to cover medical costs, recovery time, and more. ZuppkeLaw is proud to be your Michigan truck accident law firm. Located in Royal Oak, we serve the residents around the Detroit metro area. We have the experience you need to get the recovery that you warrant. While you are recovering from your accident, we’ll deal with the legal issues, so you know that you’re in good hands. Truck accidents aren’t your typical car crash claim; they usually involve corporate structures and subsidiaries, so it can take a lot longer than you may think to go through the legal process after an accident. These trucking companies spend large sums of money to ensure that they won’t have to pay you on your claim; however, when you’ve been injured by a negligent driver, we will make sure to fight for you for what you deserve. For this reason, it’s imperative that you contact a truck accident lawyer who can help you get the reparations you need to make sure that you have a full recovery. At ZuppkeLaw, we are passionate about what we do. We like helping people get the compensation that they merit after an incident such as a truck accident. By choosing our law firm that focuses on transportation accidents, you can expect to work with a lawyer who has the necessary experience to let you know what you should expect from the case. We are dedicated to the work we do because it’s not about how much we make, it’s about your vindication. It’s about holding someone responsible for an illegal situation and making sure that justice is sought. When you come to us, you will work with our experienced lawyers who have handled many cases like this one. At ZuppkeLaw, we are committed to your well-being. We develop relationships with our clients and remain in close contact with them throughout the entire legal process and after the case is complete to ensure that you’re satisfied with the outcome. Our Michigan truck accident law firm is conveniently located for anyone searching for an attorney in the Oakland, Wayne, or Macomb county areas. When Winning Is The Only Option®, ZuppkeLaw is the only law firm. Call or fill out one of our case evaluation forms. You pay nothing until we either settle or fully litigate your claim.